Lock in a great price for Kaesler Cottages – rated 8.6 by recent guests! Kaeslar cottages is a homely place with rustic charm. Well located in Barossa , it makes for a a comfortable stay . The breakfast supplied is of very good quality and the staff is very helpful. If you go there wanting to be a part of the valley experience , you wont be disappointed. This is no hotel but more of a comfortable home. 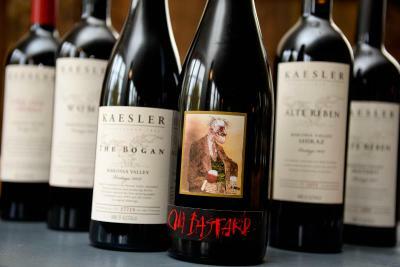 Kaeslar has some amazing wines and they are worth spending money on. Enjoy your stay as did we. Nice little get-away with access to a famous vineyard. We liked the personal attitude of the staff. Harry, the son of the owner is a great and knowledgable guy, who as super helpful and had some great recommendation for restaurants and places of interest for us. Recommended for those who like it unpretentious! Romantic quiet location, right in the heart of the Barossa. A comfy spacious room with complimentary wine and a lovely spa bath. Lovely waking up to hear the birds in the morning sitting on the verandah with a freshly brewed coffee. We had a hectic day and rang ahead to advise of late check in - they were lovely and arranged keys for us. The room was beautiful, equipped with local bakery goodies, lovely bottle of wine from the winery and most appreciated a spa bath! The cottages have been sympatheticly restored with modern comforts in an ideal location. Great location, perfect cottage, staff friendly and helpful. Would definitely recommend! Location was great, every staff member we passed regardless of position acknowledged us with a smile and said hello. The rooms were clean and comfortable and in room amenities were more than sufficient. Good location. Great staff The room was very clean. Good breakfast. Was absolutely gorgeous. Staff were locally at check in. Cottage was just as shown on internet when booking was made, facilities were fantastic, supplied breakfast was ample. Would definitely recommend to others. Different to a motel room. We thoroughly enjoyed it. Located a 10-minute walk from Penfolds, Kaesler Cottages provides accommodations and free WiFi in Nuriootpa. The accommodations have a spa bath. All units feature air conditioning and a flat-screen TV. A fridge and electric tea pot are also featured. Kaesler Cottages has a terrace. The nearest airport is Adelaide Airport, 53 miles from the accommodation. When would you like to stay at Kaesler Cottages? This suite has air conditioning and private entrance. This double room has an electric kettle and private entrance. House Rules Kaesler Cottages takes special requests – add in the next step! Kaesler Cottages accepts these cards and reserves the right to temporarily hold an amount prior to arrival. If you expect to arrive outside reception opening hours, please inform Kaesler Cottages in advance, using the contact details found on the booking confirmation. Please inform Kaesler Cottages of your expected arrival time in advance. You can use the Special Requests box when booking, or contact the property directly using the contact details in your confirmation. The spa bath required a clean and still had hairs and was dirtier than I would have liked. After we rinsed it down it was fine. Access from guest car parking was across a dirt/grass patch that was uneven and had no lighting. Was difficult to negotiate due to restricted mobility & balance, very dark at nighttime. Loved the setting and atmosphere. Fantastic place for our party of three couples. Just a sink would be helpful to wash/rinse dishes. Not a huge inconvenience. 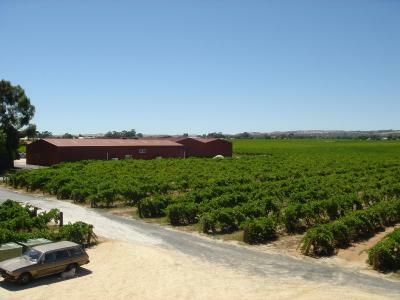 The location was amazing, across the road from Penfolds, close enough to walk to shops/restaurants. Great service and great cellar door. Accommodation was great, included a spa bath and comfy bed. We will be back! Not being able to park cars closer to the room. Bees looking to make a new home somewhere local, (1st afternoon, near bathroom window). Relaxed room, cozy and away from cellar door.